Patients who are looking for the most durable and lifelike way to replace missing teeth may want to consider dental implants at our East Brunswick, NJ, practice. Dr. Lurie can coordinate implant treatment from start to finish with experienced oral surgeons and periodontists. He can restore implants with custom crowns, bridges, and dentures made from advanced materials. Dr. Lurie will carefully work to provide every patient with a restoration that looks natural and fits comfortably. Dental implants offer important benefits, not only aesthetically, but also functionally. To learn more about dental implants, contact us today. 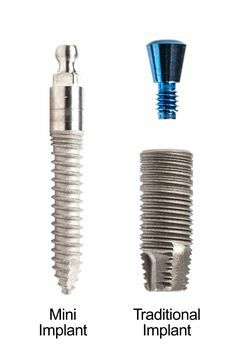 Implants are small, biocompatible titanium posts, designed to replace natural tooth roots. During dental implant surgery, the doctor will position the posts inside the jawbone. The bone tissue and titanium will then integrate together. Implants can support a crown to replace a single tooth, while an implant-supported bridge can restore multiple missing teeth. Patients can also receive an implant-supported denture, attached to several implant posts. Additionally, in some cases, Dr. Lurie can coordinate placement of an All-on-4® denture. Before undergoing implant surgery, Dr. Lurie will take x-rays and images of a patient's jaw to determine their candidacy for implants. If he decides that dental implants are appropriate, he will refer the patient to an oral surgeon or periodontist for placement. At this time, Dr. Lurie may devise a surgical guide. This guide helps ensure that the implants will be in the right positions for optimal aesthetic effects. Once the implants have fully healed (typically a three to four month process), Dr. Lurie will design the restoration. He provides beautiful restorations to ensure that the new teeth will match the shape and color of a patient's natural smile. Dental porcelain comes in many shades, and together we will choose the color that best matches a patient's natural teeth. Once the implants have integrated with the jaw, Dr. Lurie will attach the restoration. Most patients who have lost teeth will qualify for dental implants. Unfortunately, those who have lost substantial bone tissue may not have enough tissue to support the posts. However, an Oral Surgeon or a Periodontist can often perform a bone graft to build a stronger foundation for the dental implant. 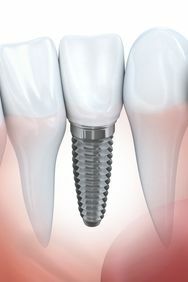 Dental implants offer unique benefits, and most dentists consider them to be the next best thing to original teeth. With proper dental care, implants could last the rest of a patient's life. Patients' individual health is also an important consideration when determining candidacy. Autoimmune disorders or blood conditions that may compromise healing can impact one's ability to undergo surgery. Likewise, gum disease can affect the longevity of the restorations, and these issues will need to be taken care of prior to surgery. Overall, if a patient is in good oral and physical health, implants may be a great option. Permanence: Implants are permanently fixed in the mouth so that the restoration will never slip out of place. Patients will have few dietary limitations, and can speak and smile confidently. Convenience: It is easy to care for implants. Patients only need to practice routine hygiene and visit the dentist regularly for exams and cleanings. Improved oral health: Implants are the only dental restoration that can prevent jawbone recession and further tooth loss. Safety and effectiveness: For qualified patients, dental implant surgery is safe with negligible risks and a high success rate. Durability: With proper dental care, implants can last the rest of a patient's life. Dental implants can greatly improve a patient's quality of life, restoring the ability to chew, speak, and laugh with confidence and ease. To learn more about candidacy for dental implants, contact our practice today and request an implant consultation with Dr. Lurie.